Got 5 minutes to devote to healthy greens in your life? Try this super quick and sumptuous brussel sprouts. I was inspired by a recipe in Cook's Illustrated that tossed them with romano cheese and lemon. Here it's just olive oil, salt and a fraction of the time it takes to roast in the oven. You get tender sprouts with a crisp edge glistening in their green jackets. 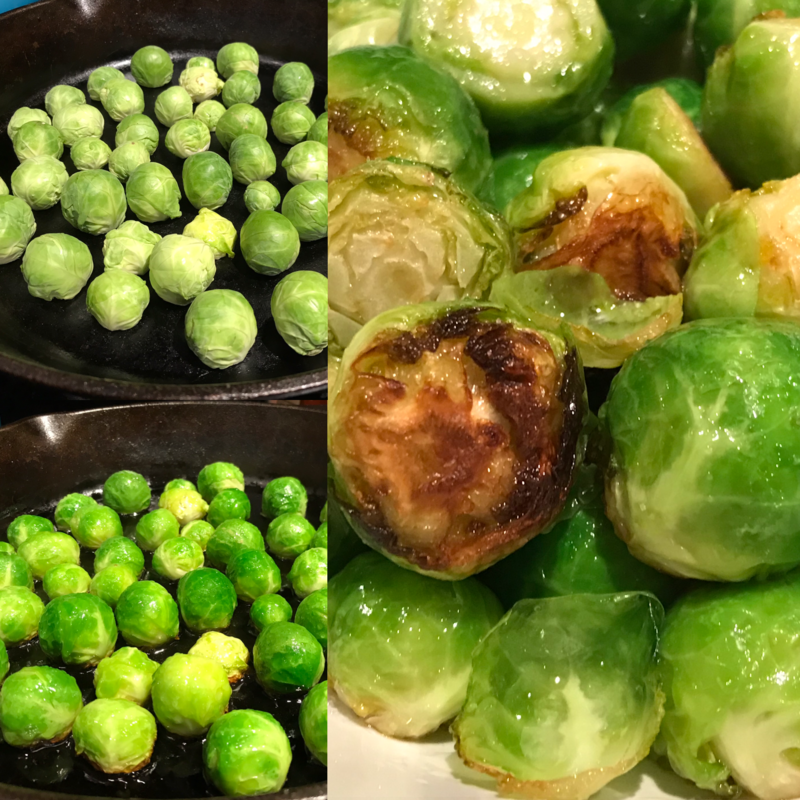 Brussel sprouts can become a favorite in your kitchen once you learn how versatile it is! Sure, roasting them is great but shredding and sauteing can make you a delicious side in minutes.